Chicken pickin’ has a distinct sound, some of which comes from the technique. The techniques have to be considered part of the overall vocabulary, just like the phrases and notes. Here is a look at several of the techniques that make chicken pickin’ unique. One of the most important techniques is the muting of notes, which provides the ‘cluck-a-cluck’ sound that chicken pickin’ gets its name from. This technique is pretty simple, but takes a bit of practice to really implement. The idea is that you are muting notes on purpose to get the percussive sound. Start by aiming for some specific notes on specific beats. Here are some exercises to get you started. These are all in the key of G.
These examples are all rhythmically on the beat. Many of the chicken pickin’ licks we’ll look at later use dotted quarter note rhythms – or rhythms that alternate, on the beat, off the beat. These are made up of three eighth notes. 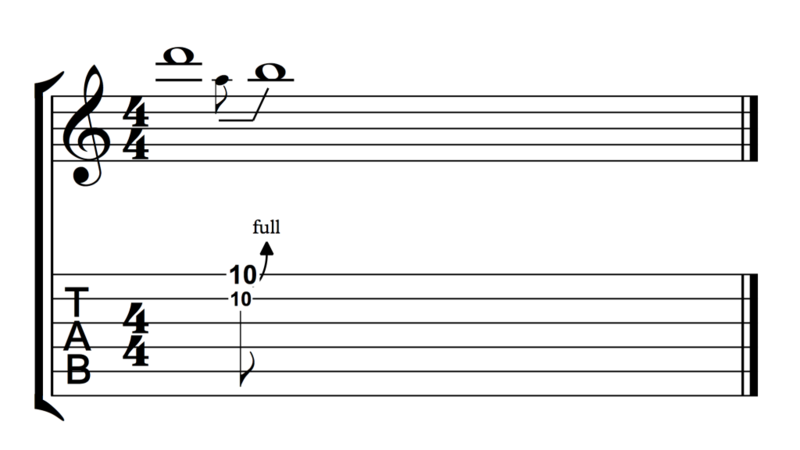 These are not typical rhythms, especially for rock and blues players, so practice them often to get the feel. Also try these at different tempos, fast, medium, slow, etc. They sound and feel very different depending on your tempo. 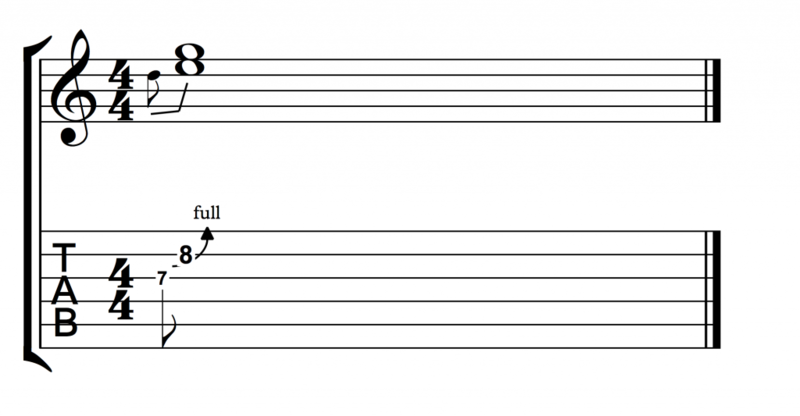 Finally, the triplet rhythm plays a huge role in chicken pickin’. Since the tempos in country can get pretty quick these triplet figures can end up sounding very fast. Like the other licks in this section, this is a different feel so make sure to practice the exercises in order to really get it. The compositional technique known as counterpoint laid the groundwork for many of the music theory terms we use now. One of these is ‘oblique motion’ which is where one note stays the same while another changes. Country guitarists (and blues and rock players) use these all the time. They likely don’t call these ‘oblique bends’ but that would be the term. There are two main types of oblique bends to check out. They each have a few different contexts so bear with me on this theory topic. Example 1 shows a hold on a G (8th fret B string) while the 7th fret G string is bent from a D to E.
This can happen in the key of C – holding the 5th of the chord while bending the 2nd up to the 3rd of the chord. Another way to look at this is holding the flat 7th of the chord, which would put this lick in the key of A. This time the 4th of the chord is bent up to the 5th – D up to E.
Example 2 shows the same type of bend but on the E and B strings. If we think of this in the key of F, the G note is bent from the 2nd up to the 3rd of the chord, A. The fifth is held. If we put this in the key of D, we bend the 4th up to the 5th while holding the flat 7th. When you practice these different contexts, make sure to have the chord playing in the background, or at least play the root so you are able to hear the differences. Otherwise these will all sound the same. There are many other types of oblique bends included in the licks and in country music in general. Remember that whenever you bend a note you are bending to a note most of the time.